Today I’m listening to the rain, the thunder, and the chorus of birds, and the dry earth is exhaling and soaking in a long-awaited rain. The resulting petrichor is amazing – fresh, woody, and earthy. The sun was out briefly but the days of 80 degree weather seems to be over for the year. I just love how, right there in the definition, is the representation of Earth and Aether! I haven’t posted here since the eclipse, so an update seemed like a good idea. I’ve been working on an essential oil blend that captures the essence of the petrichor aroma. I have a couple that are close, though I’m sure there are different variations of the aroma depending on where you are. I plan to make a bodywash and a diffuser blend to start with, perhaps a natural perfume as well. I have also captured the essence of summer in a blackberry liqueur I made. Even though this isn’t directly related to my business, I wanted to mention it here to give a ‘shout out’ to my friend Allison, who has an awesome travel and food blog at Travel Gourmand. This week she featured a guest blog post I wrote about the blackberry liqueur! I invite you to visit her blog – I think you will find it inspiring and interesting! 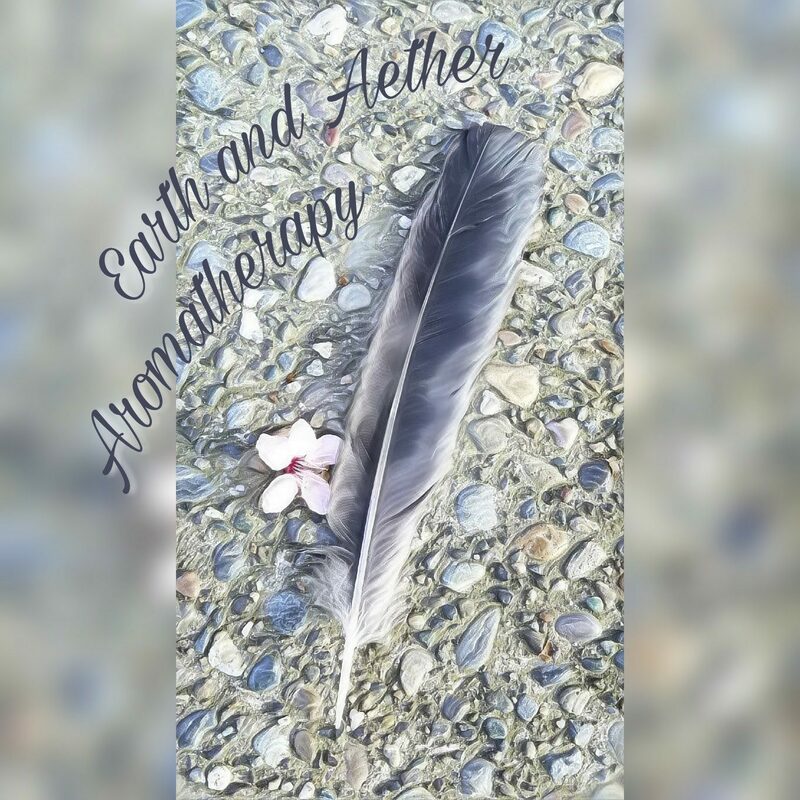 This month I’ve started focusing on a specific essential oil to get a deeper understanding of it, and I will repeat the process with other essential oils in the following months. I’ll do a more thorough post on each. This month: Lavender (Lavendula angustifolia) Check out this spotlight on Lavender at Aromahead Institute! I took their three-hour webinar class on Lavender a couple months ago. Now is the perfect time for me to revisit the class! One way I’ve used it during this focus has been on tense “trouble” areas of my right hip and leg. I have a rollerball with lavender essential oil and fractionated coconut oil that I’ve been rolling on these trouble areas and massaging it in (for more acute cases I might use about 10 drops in a 10ml rollerball – that’s a 5 to 6 percent dilution). I notice after a few minutes a decrease in tension and discomfort, allowing me to go about my daily tasks with greater ease. I seem to get the best results using it a few times a day. More on this later in the month. I have applied for my first vending event here in Bremerton since starting my business, and I have yet to hear whether my application has been accepted. If so, it will be a good learning experience. One challenge is having enough that I don’t run out, but not so much that I have too much left over, because I have to consider the shelf life of the products I make and be mindful not to let them go to waste. I hope to have my petrichor essence ready for this event! Next Post December 3 – Vending event! Great advice for usage of Lavender. Can’t wait to go to your first vending event. Will you be bringing your potteries? They are so beautiful! Thank you ☺️ I might bring some. I didn’t put it on my vending application, so I’d have to ask them about it.